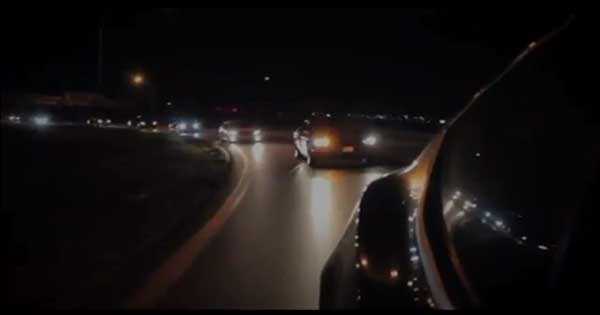 With No Racetrack, Illegal Street Racers Take To Deserted Kansas City Metro Roads! - Muscle Cars Zone! Kansas City is full of illegal street racers. Entire generations of racers have been born and raised in Kansas City. However, in 2011, the city turned its only drag strip into a park. With that said, races are no longer held. The city decided to purchase the Kansas International Raceway land when neighbors started complaining about noise. However, back when the Raceway was opened, at least they knew where the racers were racing and did not have to worry being hit by street racers. Now, street racing has become a huge problem in Kansas City. One casualty is a 56-year-old who was hit by racing drivers in his F-150. The truck was so heavily damaged that they had to cut the man out of the vehicle. This incident shows how dangerous illegal street racers going at very high speeds can be. In Kansas City`s Turner neighborhood, one witness said that he regularly hears high engine noises. This racing happens on a road that`s actually a 30mph two-lane road located in front of Richland Business Center. The entire road is jet black because of tire marks. Even the parking lot is full of tire marks from donuts. This is just one of the many areas in Kansas City where huge crowds gather to attend and watch street racing. Other favorite areas for street racers are near Kansas City`s airport and near the stadiums. Fox 4 gives a very thorough reportage about street racing in Kansas City. We think that Kansas City needs to find a solution for this in opening a new racetrack where all these racers can race again without being a hazard to everyone. At last, take a closer look at the F&F world!